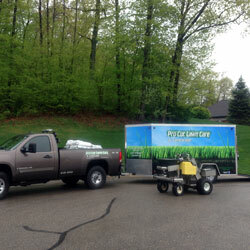 As a homeowner or business owner, the Grand Rapids lawn care specialists at Pro Cut Lawn Care & Landscape know you take pride in your investment inside and out. Our lawn care professionals prides themselves on using the highest quality products along with our highly trained and experienced lawn care experts to service all of your lawn care needs. Your complete satisfaction in our lawn maintenance services is our top priority and #1 goal. Our Grand Rapids lawn maintenance service season involves mowing and line trimming from the beginning of April all the way through the end of October. Our lawn care services are customized to each customer to best suit their needs. At Pro Cut Lawn Care & Landscape, we mow the turf so that the grass clippings are returned or recycled back into the yard. We will leave no clumps of grass in the turf. Upon request we can catch or bag the clippings. Our Grand Rapids lawn care service includes blowing the clippings from the driveways, sidewalks, and patios. We will strive to enhance the look of your home or business, making it appealing to your guests or customers. 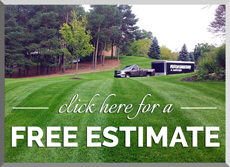 Contact the Grand Rapids lawn care and mowing experts at Pro Cut Lawn Care & Landscape today free estimate or call us directly at 616.421.4148.